Any business worth its salt will make cyber security solutions a high priority. Your employees expect their information to be secure and safe, and your customers expect the same thing. As Millennials enter the workforce and the number of devices grows, cyber security becomes more of an issue. The use of unauthorized applications can cause sensitive data to be compromised if it hasn’t been approved by IT. Neglecting cyber security can lead to issues such as fraud and malware attacks. If your data isn’t protected, it could be stolen or worse. Don’t dig yourself a hole. Invest in cyber security long before you need it. You don’t want to neglect cyber security solutions for your small business. Information and transactions are constantly communicated through your systems. This includes sensitive data. To keep your information safe and protected against attacks, we’ve got 10 of the best cyber security options for your business. It’s understandable that you may want to go the more expensive route for your cyber security solutions. You don’t want to spare expenses at the risk of exposing your data. However, Comodo is an award-winning security system offering options for your SMB. They operate on a global scale with IT management platforms and more. The best part, and one of the ways Comodo appeals to its client base? Their options are all affordable, if not free. While cyber security options tend to focus on different aspects of security, ESET offers you everything you need in one complete package. ESET’s business model offers you different bundles to protect all your devices, even your servers, and USB drives. ESET also offers a small business bundle. It helps protect your Windows and Mac computers, as well as Androids and iPhones to safeguard your mobility enterprise strategy. It will also guard your servers and email accounts too. Using a cloud-based system allows you to access your data from any computer or device. It’s a fantastic file-storing solution and an easy, innovative way to store your sensitive data. With innovations come questions regarding cyber security solutions. Cradlepoint is a solution that thinks ahead. This affordable solution to security lets you virtualize your business’ network. It gives you access to a VPN for extra security, private email addresses, end-to-end encryption, data center protection, and even more! As you’re focusing on cyber security solutions for your computer, ensure that you’re taking the whole problem into consideration. Mobile devices are prone to security breaches as well. This only increases as we continue to use our phones more. Millennials specifically are more likely to use several different devices, and each needs its own sophisticated level of protection. Lookout Mobile Security takes that into account by focusing on cyberattacks toward phones and tablets. Your mobile devices will be safe from malware and data leaks. This may not be an application or a system to keep your data safe, but you want to keep your business safe at all levels. This starts with password protection. The younger members of the workforce are somewhat surprisingly more careless with passwords than the older generation. They’re more likely to use one password across several websites and applications. This means that if one password is compromised, all of them are. Random.org works by providing you randomly generated passwords. They’re strong, complex, and alphanumeric. It can generate passwords up to 24 characters long, and you can combine passwords for extra strength. StaySafeOnline is powered by the National Cyber Security Alliance. It gives small business owners various resources to help you keep your business, employees, and assets safe. While this may not physically keep your data safe, it can go the extra mile in educating small business owners on various risks. You can learn how to figure out your risks and monitor your threats, as well as develop a viable cyber security plan. This includes a plan-of-action for after an attack. If you’re starting from the bottom in regards to cyber security, you need to start here. The FCC has developed a website that can generate a custom cyber security plan. It’s just for you, and it’s straight from the experts. In conjunction with StaySafeOnline, this is a great way to take your company’s cyber security into your own hands. You’ll learn about privacy, data security, fraud, network security, email, and more. 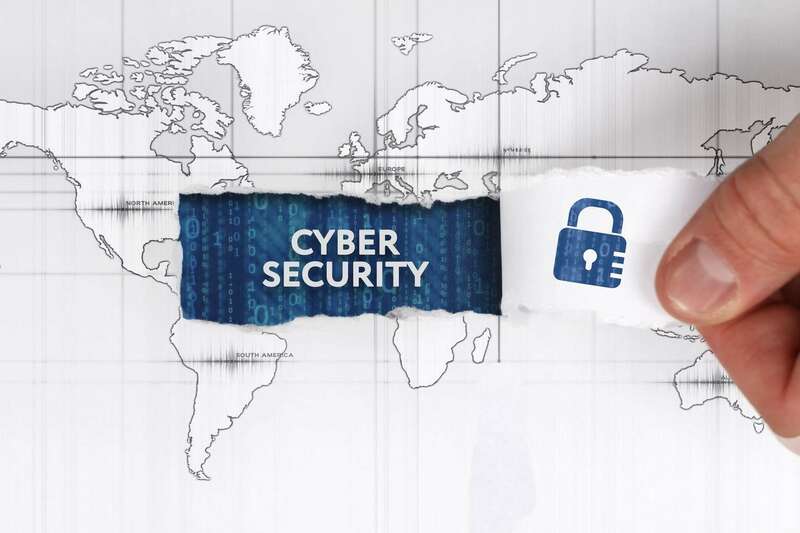 While some cyber security options focus on large companies and corporations, this means that small and medium-sized businesses are sometimes left out in the dust. However, Symantec offers strong cyber security options specifically made for small businesses. This means that this will fit into your budget, and it won’t be bogged down with features that you don’t need. This is a solid option for cyber security, and it approaches things like firewalls, privacy protection, antivirus software, automated backups, and even more! Think of CloudFare like an armored guard in front of your website – if your website was a real place. The CloudFare tool is absolutely free, meaning it fits perfectly into your business’ budget. CloudFare can fight against attacks such as DoS and SQL attacks by blocking them and generating a report. It also vets visitors coming in to figure out whether or not they’re legitimate. One of the key aspects of cyber security is identity protection, and this matters to your business as well. To keep your business’ identity safe (and that of your employees), look into CSID. CSID is an identity protection service which can detect fraud. It also keeps an eye on transactions, credit cards, and can help defend against a data breach. As a small business owner, you care about the protection of your data and that of your customers. Ask your IT services company to help you implement the best cyber security options available to you.